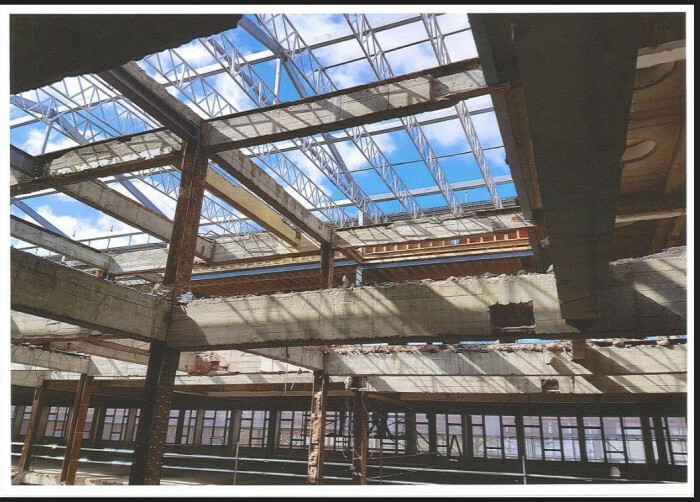 Ashdurn Scaffolding were appointed to provide scaffolding on a former supermarket that is being converted into luxury apartments, the roof and the centre of the 8 floors below had been removed to enable a glass atrium to be created. 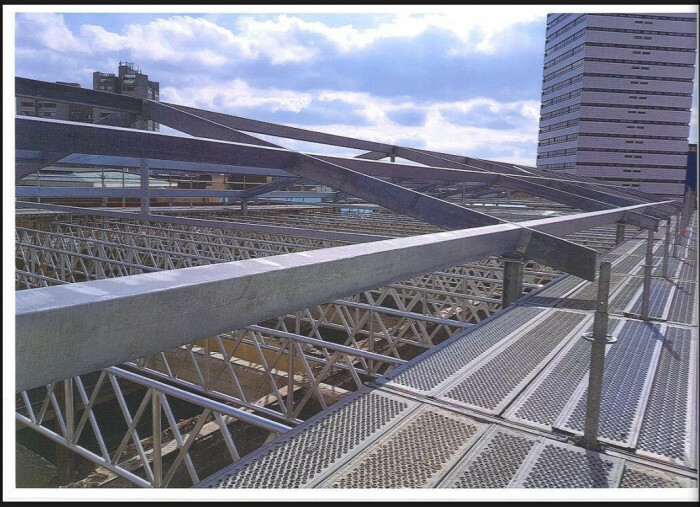 Safe access was required on the top level to facilitate installation of steelworks and glass, this was provided by erecting a four sided Layher Scaffold on the roof and spanning across this using 750mm X Beams supplied by George Roberts (North West). 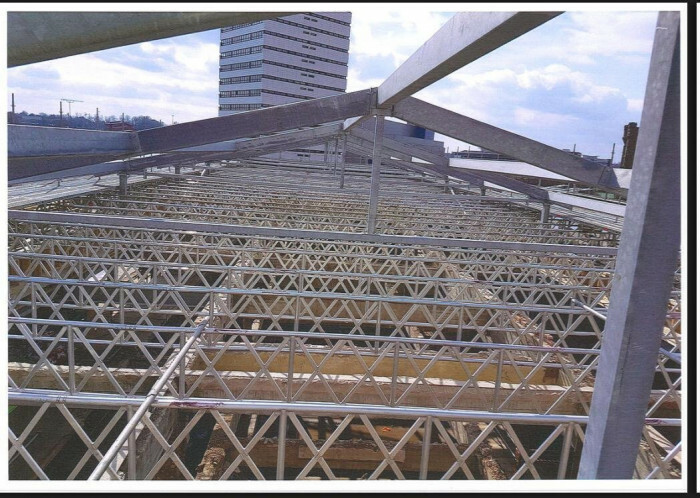 The property was situated in a busy, city centre location where storage and unloading space was at a premium, these constraints meant that two full loads of scaffolding equipment had to be delivered on site same day, unloaded by hiab and lifted onto the roof overnight within a 6 hour window where a temporary crane was on site. 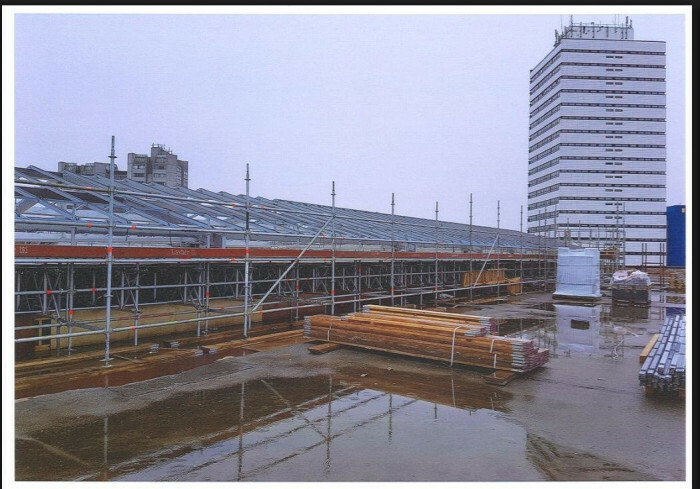 George Roberts (North West) were entrusted to design and supply a four sided Layher Scaffold, 600m of 750mm deep X Beam and over 700 Scaffold Boards on a same day basis, all delivered on Hiab vehicles within the space and time constraints of the site. 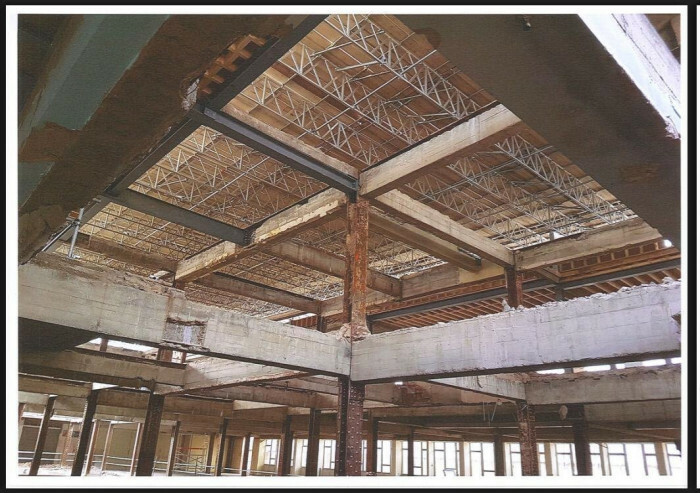 All was delivered with a day’s notice to be craned onto the roof of a supermarket which is being turned into apartments.
" George Roberts (North West) played a key role in this successful project and provided a first class service from start to finish. 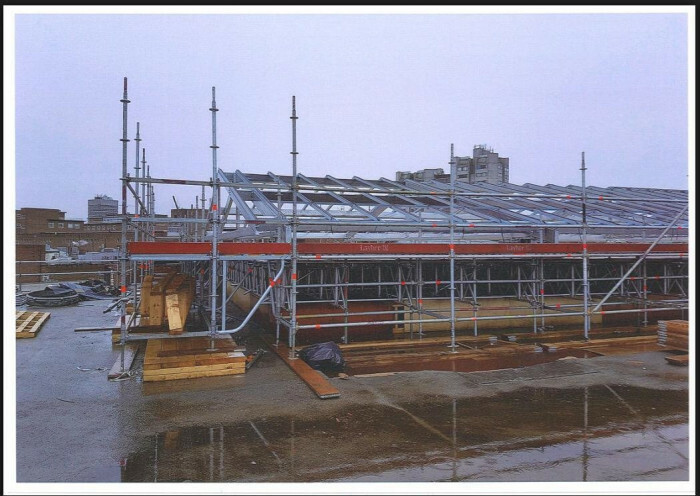 Our Account Manager embraced the time constraints we were under and reacted immediately, ensuring the Layher Scaffold was designed to our requirements on thecsame day and along with the Logistics Manager ensured that all kit was delivered on site on time and ready for the crane. The whole experience has been extremely positive throughout from the initial contact to the professional, friendly and helpful drivers who delivered the equipment. It is critical to us as a company to have a supplier of George Roberts size as we know that the kit is always available and can be delivered with flexibility and technical support, this gives us the confidence that what we need will be taken care of to the highest level "